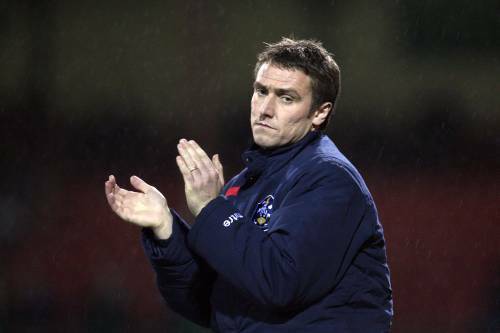 Fulham Lining Up Lee Clark To Succeed Roy Hodgson? According to a report in today’s Daily Mirror, Fulham are poised to open talks with former fan’s favourite Lee Clark over succeeding Roy Hodgson at the Craven Cottage helm. Clark is currently in charge at League One side Huddersfield and, pending permission from Terriers chairman Dean Hoyle, could be interviewed for the vacant post at some point in the next 48 hours. Alan Curbishley and Mark Hughes are both being mooted as other potential candidates, but 37-year-old Clark is being tipped (by The Mirror at least) as the favourite to take the job. Shrewd? Potentially disasterous? You decide! And AFJ completely sums up why the national team is run by an Italian and an English coach hasn’t won the league title for 18 years. Instead of wanting a young, very highly promising English manager whose side play excellent football, he wants a foreigner whose last achievement was not qualifying for the World Cup! Agree that an English manager would be great (and Clarky, in a few years time, would fit the bill), but L1 to prem is simply too big a step, as proven by the Guv’nor. I’m still hoping for Hughes personally, though Eriksson really wouldn’t be a bad idea.